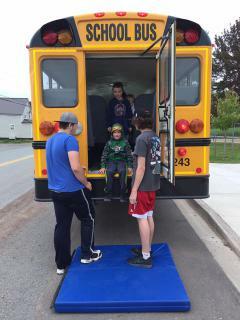 Students at River Hebert District School participated in a bus evacuation exercise. Knowing how to safely exit the bus during an emergency saves lives. Thanks goes out to the Transportation Department for ensuring that students arrive safe everyday!